Timing is crucial when it comes to thoughtful and thorough caregiving. We pride ourselves on how quickly we respond to clients’ issues and concerns, no matter what they may be. When the care of your loved one is managed by a responsible team, you can rest easy and free up energy to focus elsewhere. We come to your home prepared and ready to start our work. All supplies needed have been accounted for, and we are aware of needs and considerations to best do our job. This allows us to dive right into care without having to waste time getting organized. Another way we address timeliness when it comes to care includes checking in to ensure we are meeting your needs. Frequent and consistent check-ins allow us to shape our care along with inevitably changing requirements. Instead of making assumptions, we save time by keeping lines of communication open. It is our core mission to respond quickly to our clients’ issues and concerns. When your care is managed by a team, you can stay at ease, knowing that your loved one is in caring hands. When the weather makes its’ own demands and the home becomes a shelter in the storm, having a trusted team that provides care when family members can’t make it is paramount. When the comfort of your home becomes the place of healing and restoration. Comments Off on When the comfort of your home becomes the place of healing and restoration. At the very base of Maslow’s Hierarchy of Needs is physiological needs: air, water, food, shelter, and sleep. These are at the bottom because they are the foundation from which all else is made possible. When you are unwell or at the end of life, those physiological needs become even more important. The home is a place where we’re meant to restore and rejuvenate so that we can take on the challenges of life outside our doors. When we’re healing, it is even more important to be in a place where we’re comfortable, safe and cared for. If you or a loved one has the choice, choose to stay at home through your healing journey. We can help make sure you get your medications, are well fed, your hygiene needs are met, and you are in good company. In home care has proven to be better for your loved one in need. Stress and worry about a love one can be a huge stressor on your life. 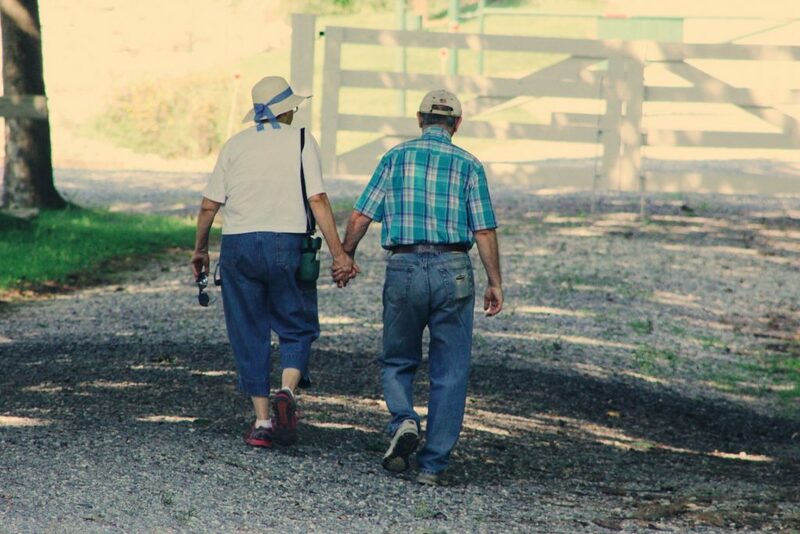 When you think about what route to go, know that in-home care is the proven path. A study by the Partners in Care Foundation found that in‐home care significantly increased patient satisfaction while reducing use of medical services and costs of medical care(1). Assistance with daily activities, such as walks, medication reminders, etc. Watching our parents grow old can be a challenge, especially as their ability to care for themselves starts to slip. Many adult children fret over the wellbeing of their parents, and worry about their ability to care for themselves without knowing the signs. Confusion and uncertainty when performing once-familiar tasks. Bounced checks, calls from collections and late payment notices. Expired/spoiled groceries that don’t get thrown away. All of these signs can be indicators of something larger – your parents may need more support. Have a look at our in-home care services and find out if Family Best Care is exactly what your parents – and you – need. An article written by UMH references a study conducted at the University of Miami School of Medicine which revealed that music therapy leads to increased secretion levels of “feel-good” brain chemicals such as melatonin, serotonin, norepinephrine, epinephrine, and prolactin in Alzheimer’s patients. The results are astounding: music can boost mood, reduce stress and agitation, foster positive social interactions, coordinate motor function, and facilitate cognition. Even as the disease progresses and cognitive function declines, the human brain still naturally responds to music. And the benefits continue long after the music stops playing. That is why we have partnered with Gretchen Yanover and the Mercer Island Senior Center to provide regular musical programs for the residents of that community. Check out this awesome video of Gretchen playing Turnaround. This is one of the many ways that Family Best Care goes beyond simply caring, and actually Gives Back to the community. Please follow along with our journey as we make updates on our website and Facebook page! When protecting your loved one from falls – especially in the middle of the night – becomes the core of care, your family will need the right care team. A care team that is flexible, responsive, and trustworthy gives you the peace-of-mind you need to stay home during periods of recovery or late-life care. The Family Best Care team is comprised of qualified professionals with years of caregiving experience. We have registered nurses, licensed practical nurses, certified nursing assistants, home-care aides and live-in caregivers on staff — all licensed by the state of Washington and screened twice for security. Before anyone becomes part of our team, they also undergo a rigorous selection process that includes an evaluation of their sincerity and desire to care for others. We expect and train our staff to look beyond medical challenges — and see patients as members of our extended family. When transitioning from the support of doctors and nurses in a hospital or skilled nursing facility to being at home, it can create anxiety in the caregivers. Will they be able to keep up with medication management? Prescription management? Bathing and bathroom assistance? Companionship? In-home care with Family Best Care alleviates this worry. Our team works closely with your medical team to make sure that you’re getting the best care you need, from the comforts of your own home. We don’t take over; we support your style and make it comfortable for you to recover in the comfort of familiar surroundings. In the case of recovery, being in familiar surrounds leads to a faster recovery time. When you are in your familiar surroundings your body is able to rest and relax in a way that allows the body to heal. When you have the peace-of-mind that things like rides and medication management are being taken care of, you can rest that much deeper. Read more about the benefits of healing at home in our April blog post. Sometimes the best move is to stay where you are. We all know the feeling of coming home after a long day of work, or arriving home after a long trip. It is such a comfort to be in our own space to rest and rejuvenate. Studies have shown that recovery happens more quickly in familiar surroundings. Whether you need help after a big life event life an accident, or to assist an ageing parent, in-home care can help you stay in that comfortable place. In-home care can be an affordable option as opposed to skilled nursing or assisted living. It is often much less per hour to use an in-home service than it is for live-in care. This is especially true when you’re able to craft a personalized package that provides you with just the right amount of care to fit your needs. With in-home care, the assistance you’re getting is custom-crafted to fit your individual needs. This can be anything from assistance with medications and other personal needs, to transportation to appointments, all the way to companion care. You always get the specific care you need with in-home care. In the case of helping an ageing parent, it can be a heavy weight on the shoulders to wonder if everything is ok at home. With in-home care, you have the peace of mind that someone is checking in and keeping an eye on how ageing parents are progressing at home. In the case of recovery, being in familiar surrounds leads to a faster recovery time. When you are in your familiar surroundings your body is able to rest and relax in a way that allows the body to heal. When you have the peace-of-mind that things like rides and medication management is being taken care of, you can rest that much deeper. In-home care is the preferred way to help yourself and your loved ones get through those tough times in life. Reach out today to start discussing what relief we can bring to you and your family.